Southeast Asian peat-draining rivers are potentially strong sources of carbon to the atmosphere due to the large amounts of organic carbon stored in those ecosystems. We present the first assessment of CO2 emissions from the Rajang River, the largest peat-draining river in Malaysia. 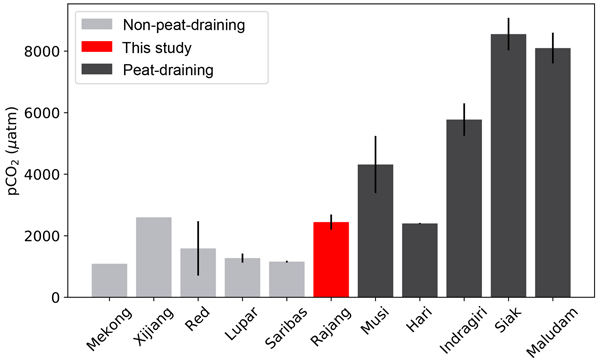 The peatlands’ influence on the CO2 emissions from the Rajang River was smaller than expected, probably due to their proximity to the coast. Therefore, the Rajang was only a moderate source of CO2 to the atmosphere. This paper presents the first comprehensive assessment of fluvial organic carbon loss from oil palm plantations on tropical peat: a carbon loss pathway previously unaccounted for from carbon budgets. Carbon in the water draining four plantations in Sarawak was monitored across a 1-year period. Greater fluvial carbon losses were linked to sites with lower water tables. These data will be used to complete the carbon budget from these ecosystems and assess the full impact of this land conversion. 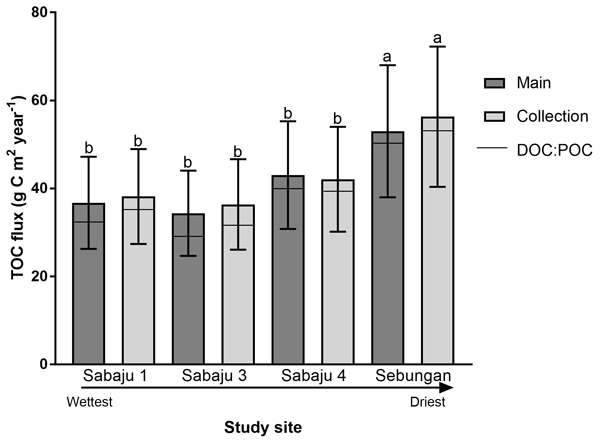 We found that peatlands in coastal Sarawak, Borneo are exporting extremely humified organic matter, which dominates the riverine organic matter pool and conservatively mixes with seawater while the freshly produced fraction is low and stable in concentration at all salinities. 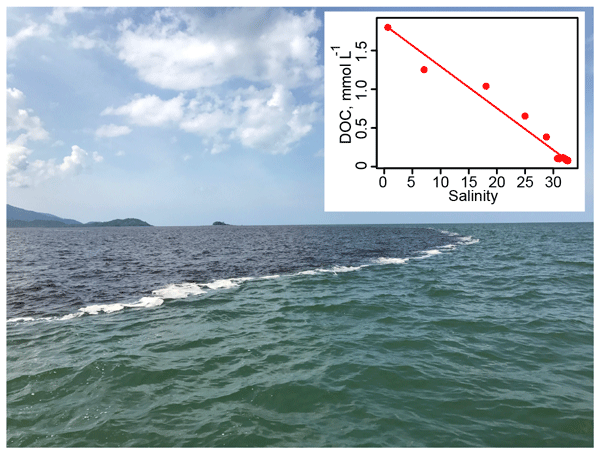 We estimated that terrigenous fractions, which showed high photo-lability, still account for 20 % of the coastal dissolved organic carbon pool, implying the importance of peat-derived organic matter in coastal carbon cycle.